Four of Everton’s Amputee footballers represented England at the European Amputee Football Championship final on Monday night in Istanbul. Everton’s Dave Tweed captained his country and was joined by his EitC teammates Martin Heald and Mickey Chambers in the starting line-up, whilst Everton in the Community Disability Manager, Steve Johnson, took on his usual role as part of the England coaching team. England lost 2-1 in the final to tournament hosts Turkey, playing in front of 40,000 fans at the Vodafone Park Arena in the Besiktas district of Istanbul, in a closely-contested game that was also streamed live on Facebook. The England team beat Spain 3-0 to reach the final over the weekend, having already defeated Greece, Ireland and Russia in the group stages and France in the quarter-final, with six goals scored by the Everton players in total throughout the competition. The event was hosted by the European Amputee Football Federation and former World Cup winner Johnson, who has been involved with Amputee football since 1987, travelled to Turkey along with Dave, Martin and Mickey, who all won the league with the Everton Amputee team this season. 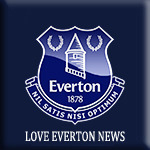 The Everton team is ran by Everton in the Community coaches and both Dave Tweed and Martin Heald have been involved with the squad since it was formed three years ago, with Mickey Chambers joining the team this season. There were 11 other countries that took part in the tournament: Turkey, Belgium, France, Georgia, Greece, Germany, Ireland, Italy, Poland, Russia and Spain. A massive congratulations to the England team, and especially our Everton players, on making the final and on their fantastic journey!